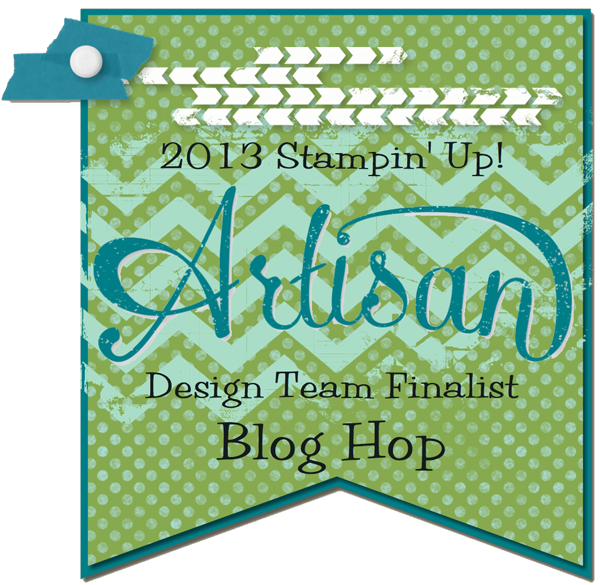 It's hard to believe that we are on Day 6 of the Blog Hop already! I really hope you have been enjoying everyone's amazing projects, I know I have! Today, I have my second scrapbook page. 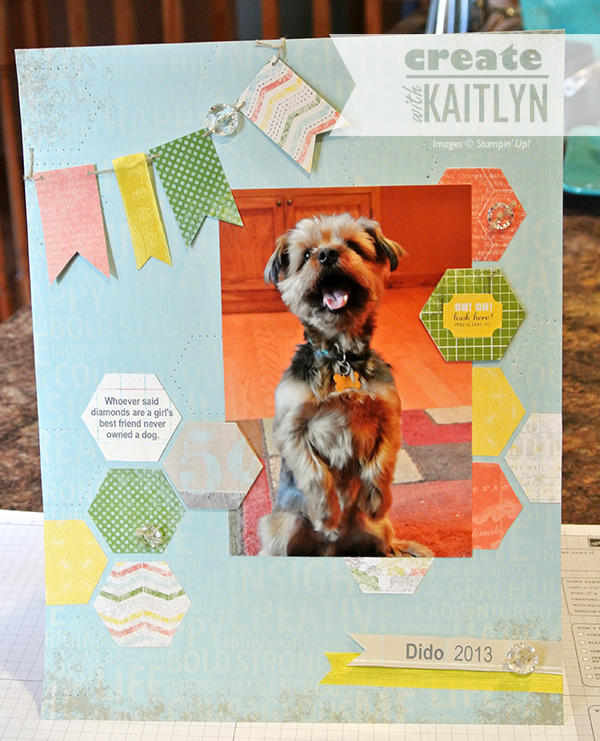 This is an 8-1/2" x 11" page featuring my Dido dog! ...I thought the saying was more than appropriate for that adorable furry face! Did you notice the paper-pierced hexagons? No, there isn't a hexagon paper-piercing template. 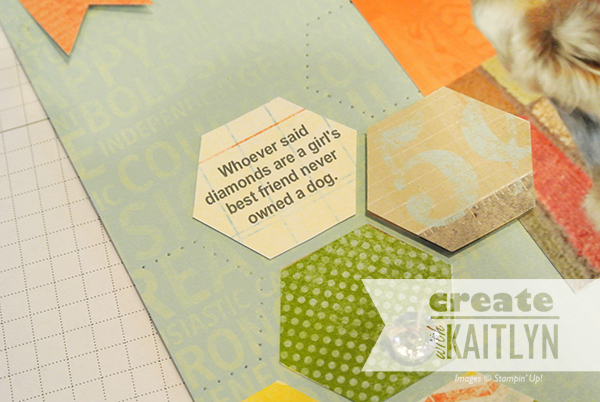 When I had all the hexagons laid out on the page, I wanted more hexagons but in a subtle way. I wasn't sure how to do that, but then I literally had a genius moment where a light bulb turned on in my head. I thought maybe I could make my own paper-piercing template...and it worked! I was sooooooo excited! 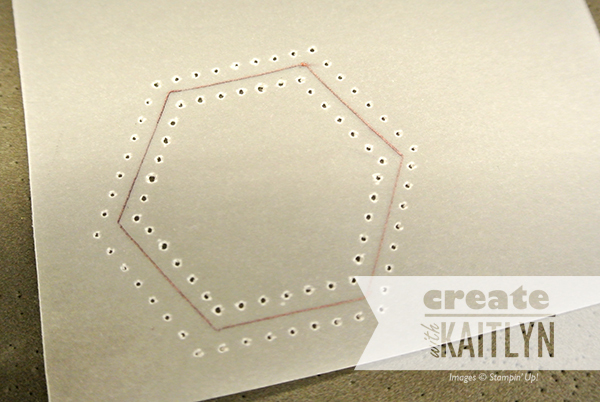 To make my paper-piercing template, I used a scrap piece of Vellum CS and traced one of my cut out hexagons. Then, I used the straight lines from the Essentials Paper-Piercing Pack for the placement of the holes. As long as you don't use to much force, the vellum seems to hold up just fine. There are lots of possibilities with this technique! So, are you gonna go make your own paper-piercing templates now? Don't forget to click the "Next" button below to continue the hop! Such a cute page! I love the idea of making a paper piercing template. I will definitely be trying that. 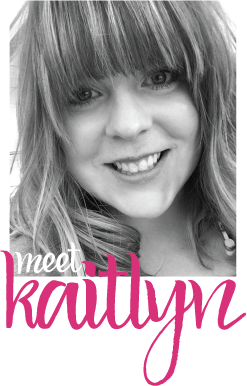 What a darling page Kaitlyn. I love it and so creative with the vellum. This is such a cute page! And you are so super smart to make your own piercing template...endless possibilities! p.s. Dido is adorable and the photo is totally sweet. This is a super cute page! I love all the hexagons! 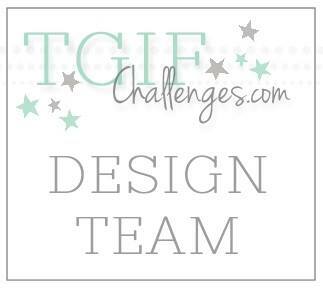 What a clever idea to make your own template! Fabulous idea! I love this page! 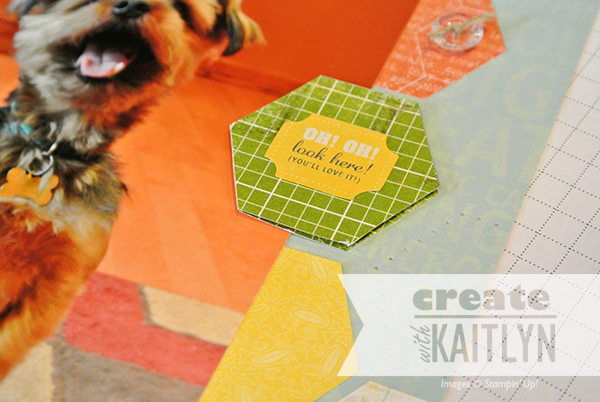 Such a cute picture, and I love the custom-made hexagon piercing template -- very clever.